This journey is for the true Spiritual Illuminator. For those of you who know deep within, that you came here in this lifetime, to wake up and embody your Divine Self. To live it, create miracles, and serve others. This is about In-Lightenment- re-membering and manifesting enlightenment and all that you desire and seek, from the inside out. This will be a 20-week tele-course Yes, this is a spiritual journey and a commitment to yourself and the healing of your “small self” to awaken and embody your Divine Self. We will journey through the Chakras of Divine Awakening and you will work with a team of Divine Spiritual Helpers for each Chakra with intention and spiritual practice for a period of two weeks. A 2-Hour Tele-course every two weeks (via phone or internet) to journey through the intentions laid out below. During the week in between Karen will reconnect with you through a Facebook Live session (on a private Facebook page) to support you, answer questions, facilitate a teaching, exercise, and/or meditation. **If you are not on Facebook the Recorded Video will be provided for you through email. Notebook with Weekly Support and a Guided Meditation for your journey (Books required for the course not Included. See below). Practicing surrender and allowing the Divine grace to be revealed in your life and letting go of what no longer serves you. You already what you are seeking. Its just about bringing light to it. Enhancing your Clairsentience to feel and create from your heart center and to receive clear guidance through your feelings and intuition . What is self love and how can you awaken Divine love for yourself. Payment plan available if needed- 7 payments Of $111 and paid in full by Dec 1st. Where: Tele-classes easily accessed from phone or internet and all classes are recorded and can be downloaded. This 2 day Soul Entrainment® Training was very enlightening. 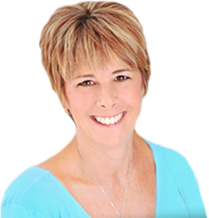 Karen gives you all the tools you need to help people connect with their Soul. The hand on experience guides you to help your client achieve the results they want. I would highly recommend this class.